Want your next morning meeting to be the talk of the office? Keep your team energized by providing breakfast, brunch or morning or afternoon tea catering. A huge selection or irresistible sweet and savoury treats to start your day or accompany a cuppa at morning or afternoon tea! 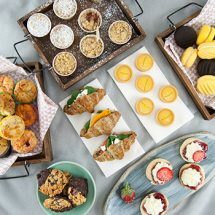 Whether it be breakfast, morning or afternoon tea catering, your next function will be the highlight of your team’s day. With a selection of freshly baked pastries, slices or healthy snacks your team will not be disappointed with their breakfast catering. We offer super healthy treats and of course, those naughty but nice selections that are perfect for the 3 pm pick me and afternoon tea catering. Do you have dietary requirements to cater for? No problem. At Flavours Catering + Events, we always provide tasty, delicious treats for guests who may have dietary needs or preferences. 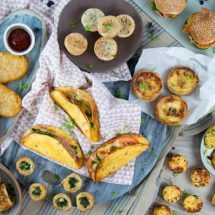 We offer an extensive list of gluten free, dairy free and vegan options that will satisfy both those sweet and savoury cravings and any breakfast, morning or afternoon tea catered event. 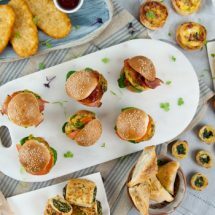 So look no further if you are hosting and early morning breakfast meeting for your office or an afternoon tea catered event for your friends, Flavours Catering + Events will ensure we deliver catering that meets your guest’s expectations every time. It’s our Guarantee.